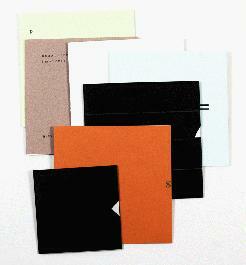 This set includes seven books by Alex Selenitsch made between 1998 and 2006. All the books were produced in an edition of 26 indicating the number of letters in the alphabet. Every book is given an edition 'number' as a letter. All books explore letters as words and words as letters, black marks on white paper.